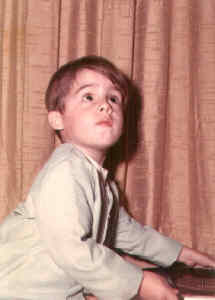 I was born on December 13th, 1966 in sunny Puerto Rico. While these days, I earn a living as a Database Consultant and as a Software Developer, I received formal music training in Classical Guitar Performance at New York's MSM. Visit my Rock Guitar (Beholder) and Classical Guitar Day Pages and take a look videos and photos of those times. What's new? Happy to report that 2007 is shaping up to be a good year (here are few pictures in the photo page - gallery 3 - from a recent visits to New York and Florida and some others taken recently at home gallery 1). a) a NEW! MailPrep Photo Store servicing real estate brokers and others online. b) a set of NEW! downloadable software email products . The site is under permanent construction . It was last updated on 09/12/2007.